When I was a teenager, I became deeply interested in cooking, drawing inspiration from my Southern Italian–American family’s kitchen. I began turning out inappropriately large quantities of eggplant Parmigiano, calzones, Christmas cookies, and anchovy foccacia, sometimes, to the mystification of my parents, at three or four in the morning. After a brief stint in journalism school and a chunk of time attempting to become a great American playwright (the one play I had produced was a comedy about cooking), I returned to my first and true love and began cooking at restaurants, including Le Madri and Florent in Manhattan, and attending the New York Restaurant School. 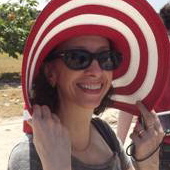 With the itch to write still brewing and my muscles aching from working the line, I eventually began selling articles on Italian cooking, first to Food & Wine magazine (where I also worked in their test kitchen), and then to The New York Times, Gourmet, Fine Cooking, and other publications. I also wrote a monthly food column for Marie Claire magazine. 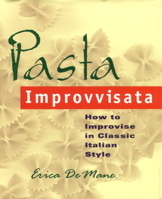 I continued to share my love of Italian cooking with my first book, Pasta Improvvisata, which was published by Scribner in 1999 and was singled out for praise by The New York Times in its twice-yearly cookbook roundup. That was followed by Pasta, for Williams-Sonoma, and The Flavors of Southern Italy, published by John Wiley & Sons in 2005, which was chosen by both Publishers Weekly and Food & Wine as one of the best cookbooks of the year. I also contributed many Italian food recipes to a new edition of The Joy of Cooking and to a number of Food & Wine publications. I’m currently working on an Italian herb cookbook and a collection of essays on Italian flavor combinations, as well as writing a monthly column for MyCurves, the online magazine for Curves Fitness. I also write articles on the Mediterranean diet for Weight Watchers. My blog contains hundreds of classic and improvisational recipes, essays on my cooking philosophy, reviews of my books, and artwork. I also have fun and informative cooking videos up on Youtube, where I show you my favorite improvisational Italian dishes and techniques. I’m a longstanding member of the Italian-based Slow Food movement, the American Academy of Rome Kitchen Cabinet, The New York Culinary Historians, and the International Association of Culinary Professionals. I live in Manhattan. If you’d like to know more about my work, here’s my wikipedia entry. Hi Erica, hope you can provide me with an old recipe I’ve lost called “frosce”, a sicilian cardoon omelet. I remember it had bread crumbs & grated cheese also. Many thanks! I’ve been served frosce in Sicily. The one I recall was a flat omelet filled with asparagus and I think ricotta salata and breadcrumbs. Cardoons would be a natural omelet filling in Sicily, although they require a little work, peeling and blanching, to make them edible. I’ll hunt around and see if I can come up with a specific reference to a cardoon frosce and get back to you if I do. I’m moving on to another recipe….my boyfriend and I love going to Orso’s an Italian restaurant in the theater district of New York around 46th St…. I asked my friend Natalia Ravida, who lives in Palermo, about frosce. She told me it is a Sicilian term for frittata, but that frosce means ‘soft’, so a characteristic of this dish is that the frittata is left quite tender, not runny exactly, but not stiff the way some flat Italian omelets can be. I’ll be posting a recipe for my asparagus and ricotta frosce soon. I’ll see if I can find out about Orso’s pizza bread for you. Are you planning any trips that would include Sicily? I am in a Amatuer Wine Making Club in Cleveland Ohio (VINO) and our club would be interested in a trip to Italy/Sicily with cooking classes and lots of wine tasting/education on wine making techniques. I don’t organize these types of trips, but you might want to get in touch with Arthur Schwartz, author of ‘Naples at Table’. He takes groups on cooking tours of Southern Italy four times a year. He uses of palazzo near the Amalfi coast as his base and then takes cooking related day trips to places like Puglia and Calabria. I don’t know if Sicily will be included this year, but you can probably find out by checking his website at http://www.thefoodmaven.com. Last night at my Weight Watcher’s meeting, my leader brought in an article from the San Jose Mercury on you and your whole wheat pasta and how good it is for you. The article listed brands of pasta that are the best, most wholesome ones. I’d like to get that list. All the wholewheat pasta I’ve found – tastes like cardboard. I found the article online this morning but the list wasn’t in the article. Can you provide that list? 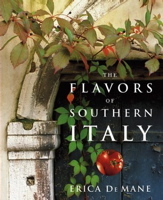 BTW, I’m ordering your Flavors of Southern Italy – fabulous! Thanks for sharing your life with us and your wonderful way of cooking. I was really reluctant to eat whole wheat pasta at first too, having had several of those cardboard experiences myself. But I have found a few producers who make really good ones. Racconto is excellent and fairly easy to find in grocery stores (at least in New York). Latini makes an outstanding farro pasta. You can order it from gustiamo.com, but I’ve seen it at several Italian specialty shops as well. Other names to look for are Martelli, Monterosso (they make farro pasta), and Santoleri. The trick to making any of these pastas work is to rethink your sauce a little, giving it hits of boldness (some chili, some anchovy). Strong flavors work best with whole wheat. I believe the person who wrote the article you’re referring to did mention a few producers, but mostly large companies like De Cecco and Barilla, which make passable whole wheat pasta but nothing great (De Cecco is better than Barilla). Whatever you do, try to avoid Ronzoni. Their stuff is terrible. Good luck at Weight Watcher’s. It’s a great organization. My sister did very well with them. I am happy to present my new culinary project. It would be a pleasure to have you at my table when in Paris. Thank you so much for telling me about your Parisian Lunch project. It sounds wonderful. I too am a lover of Pantelleria. My Sicilian/Puglian family has and seems always will flavor all my cooking. Your recipes sound great. I’d be honored to reserve a seat at your table the next time I’m in Paris. Thanks for all your research into my Sicilian Pepper cookie question. I went on the site you suggested and found that Mary Ann Esposito (whose show I watch) has a pepper cookie recipe very similar to mine. Chocolate and Black Pepper Cookies (Biscotti Al Cioccolato Con Pepe Nero) A recipe from her “Celebrations Italian Style” cookbook. She also talks about the wedding-cookie cakes. When my husband and I got married, we followed the usual tradition and ordered the wedding-cookie cake arrangements from a local Italian bakery. It was fun to go from table to table serving everyone the cookies from the arrangements everyone always checked to make sure the Pepper Cookies were included! This all brings back memories! I’m sure as Italians became more prosperous in America, they may have embellished on this cookie recipe. We should have met today and talked about food, but it was not in the cards. Barbara, told me about what you do only after you had left. BTW, I taught briefly at the New York Restaurant School before taking a job at The CIA. Did we meet today? I don’t think we were introduced. I wish we had been. Do you cook Italian food? That was a really nice tribute to Ray. He would have been thrilled. A friend of mine is 91 years old and in great shape and keeps asking me if I could find a recipe to make this for him. The sausage is cut up in a coin fashion and mixed with the polenta and then baked, I would assume to get a bread like texture. He does not eat pork sausage so I guess the sausage can be substituted with turkey sausage. I’m not sure exactly what this recipe is, but I can imagine how to make it. My grandmother used to make a sort of polenta ‘lasagna’ with sausage, but hers included a tomato sauce and cheese and was kind of sloppy, not bread like. If this is an old family recipe of his, I’m not sure I can duplicate it, but I can come up with something similar. Is this a Neapolitan recipe? Just caught up on your recent entries. The Arthur Avenue and Block Island entries are heavenly.